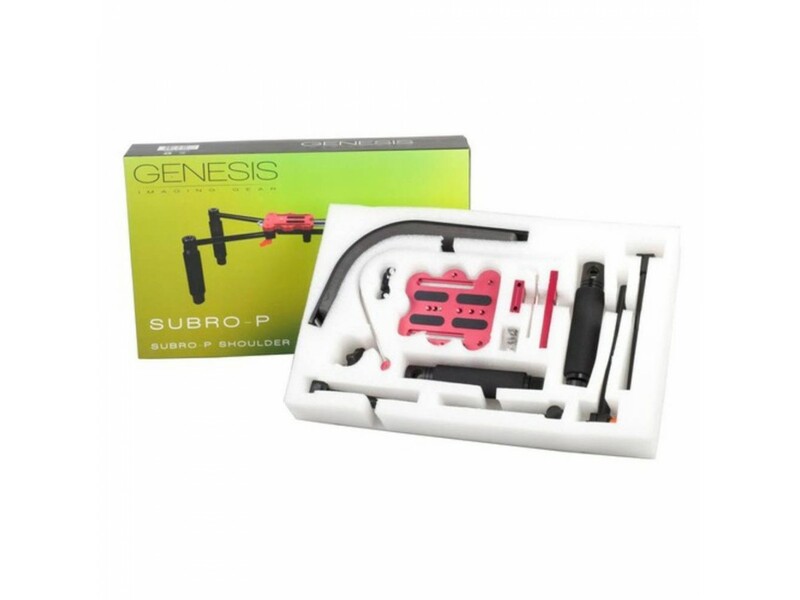 The Genesis Subro Pro (model SK-R01P) is a lightweight shoulder rig for a VDSLR camera and accessories with combined weight of up to 12 kg. The rig has two lateral supports that can accommodate additional accessories such as on-board lighting, microphone, monitor, etc. 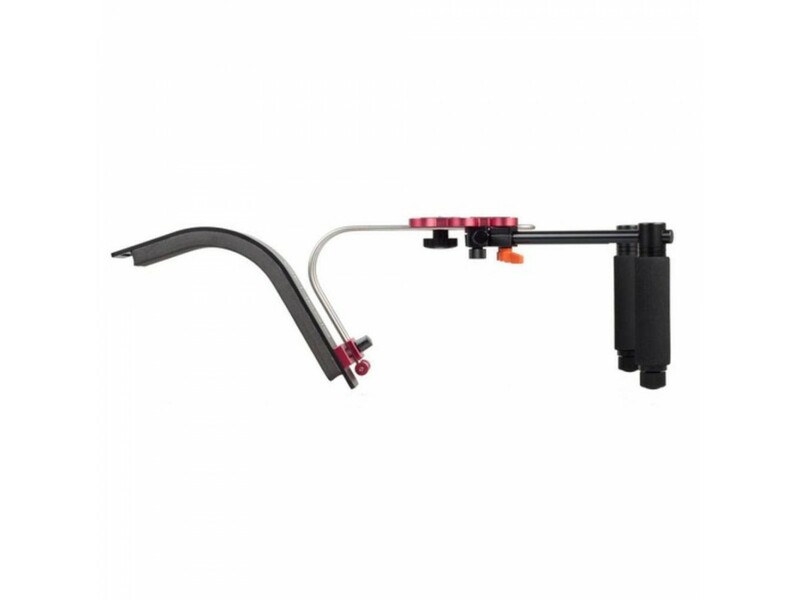 adjustable handles with foam grips. 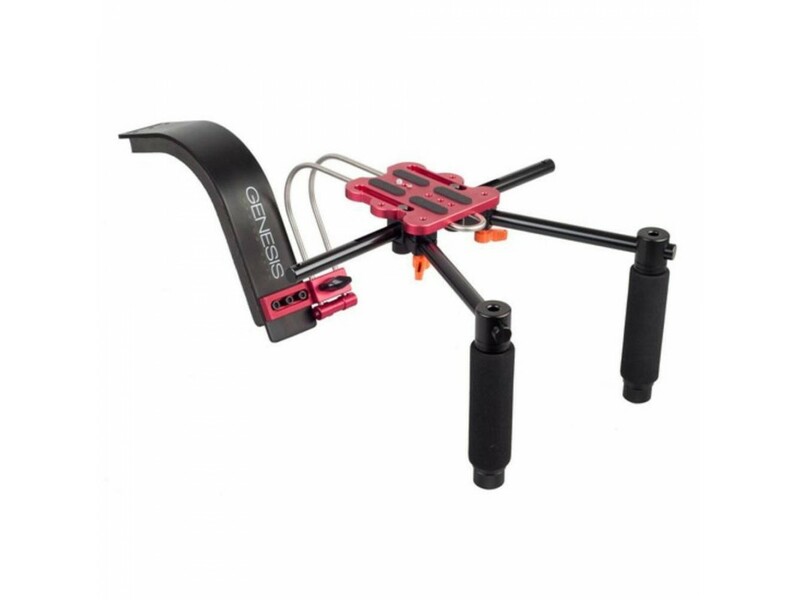 The SK-R10P shoulder support can be mounted several different ways and accommodates both left- and right-shoulder setup. 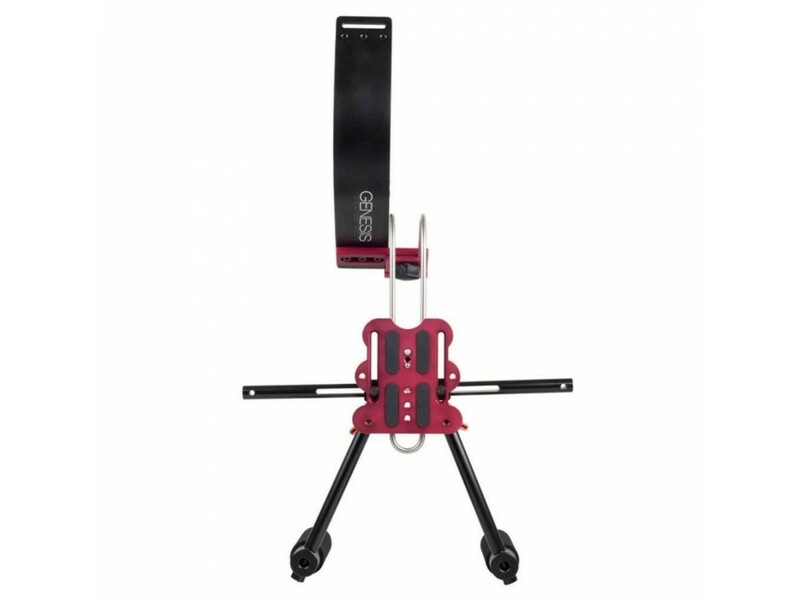 The rear end of the support can accept a 1.85 kg counter weight (model SK-R01CW, sold separately). 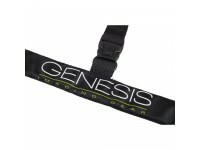 Another useful accessory is the Genesis gStrap (model SK-R01HS, sold separately) which is fastened on the operator's belt and connects with the counter weight via a string. 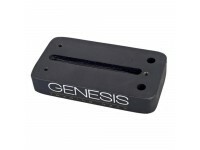 It thus allows the operator to safely let go of the handles for a short period of time. 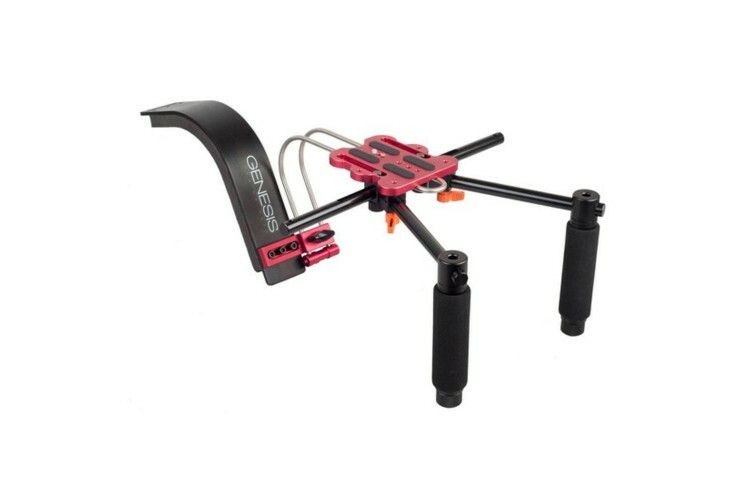 The Genesis SK-R10P shoulder camera rig is fully adjustable: the distance between the shoulder support and the camera base plate, the relative difference in height between these two, as well as the angle and distance between the two handles can be set independently for maximum comfort and stability.